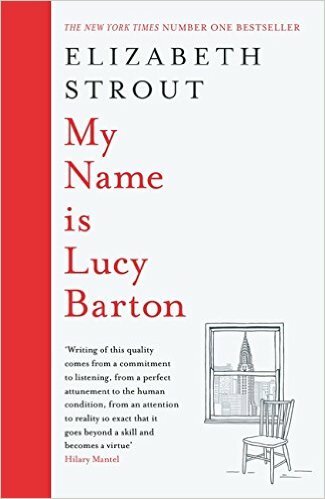 BleachHouseLibrary.ie: Book Review - "My Name Is Lucy Barton" by Elizabeth Strout. 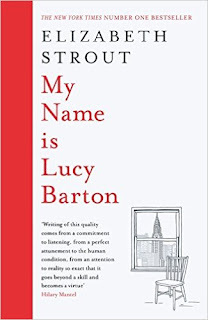 Book Review - "My Name Is Lucy Barton" by Elizabeth Strout. Pulitzer Prize winning author, Elizabeth Strout, has produced a tiny novel, with epic proportions. Quite simply, this is the most unexpectedly beautiful piece of fiction I have come across in years. I had no pre-conceptions, as I received an early edition, and by page one I was hooked. The writing is exquisite and the story reaches into the readers soul, without initial detection. It is only when you feel your breathe catching, as you read the stunning prose, that you suddenly realise how powerful words can be. While Lucy has had a pretty lousy childhood, stricken by poverty, distant parents and basically self-educated, she has escaped it all. Now living in New York, with her husband and two children, she is stricken with a serious infection after a routine surgery. All of a sudden she is trapped, long-term, in a private hospital room with the days dragging by. Her husband and children are rare visitors and she feels deserted. Her mother, with whom she has virtually no connection to, arrives unannounced and Lucy's inner world is steered off course. She has so many questions, yet is afraid to ask them. She has so much she wants to say to her mother, but she cannot bring herself to utter the words. The atmosphere is fraught with the unspoken words of the two women and yet they are comfortable in their own, unusual way. As the novel gently progresses, the reader gains further insight into Lucy's personality, travelling on an open-ended journey alongside her. The distance of her own past relationships has a rippling effect on her own family, but she still craves love. This is a story of how a mother and daughter may be of the same flesh and blood, yet have nothing in common. There can be moments of friendship, seasons of goodwill and promises made. But is this enough? Can you make someone love you? Cleverly using Lucy Barton as a solo voice, powerfully independent, at the same time in need, the author has written a tale of a complete life. It may be a short novel, but it certainly deserves massive respect. Thoroughly recommended. 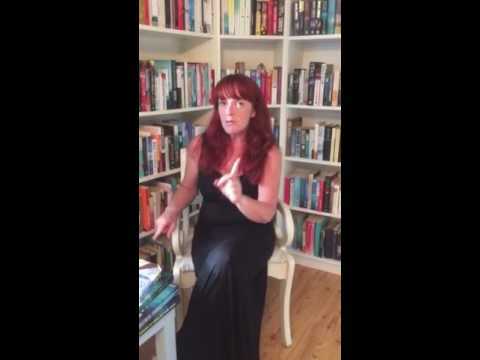 My Name Is Lucy Barton is published by Viking and is available in Hardback and ebook format. Well, you've definitely made me want to read this one! I loved her "Olive Kitteridge" (sp??) so was wondering if this one would be as good. Will check it out!